UPDATED: Tue., May 2, 2017, 11:12 p.m.
CHARLOTTE, N.C. – Brad Keselowski’s crew chief will miss the race at Talladega Superspeedway this weekend as Team Penske fights penalties over a March 19 infraction. Paul Wolfe was initially suspended three races and fined $65,000 because the No. 2 team failed the laser inspection station after a fifth-place finish at Phoenix. The team was also docked 35 points. Wolfe already sat out one race, at California, but Team Penske later appealed. Wolfe is permitted to work during the appeal process. The National Motorsports Appeals Panel heard the Penske appeal on April 12 and upheld the penalties. Team Penske has gone to the last step, the final appeals officer. The appeal was supposed to be heard on April 25 but officer Bryan Moss was ill. The hearing is now scheduled for May 9. Wolfe was with the team at Martinsville, Texas, Bristol and Richmond – races in which Keselowski finished first, sixth, 34th and second. Sitting out Talladega is likely a preventative move for Wolfe and Penske in case Moss upholds the penalties. Wolfe would have to miss next weekend’s race at Kansas, and would be able to return for the All-Star race and Coca-Cola 600 at Charlotte Motor Speedway. 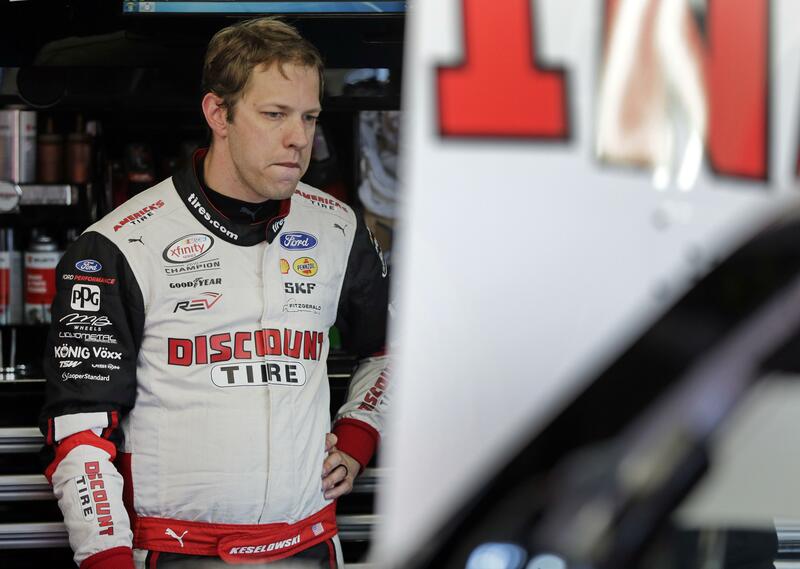 Keselowski has won two of the last five Cup races at Talladega, including last spring’s race. Team Penske says engineer Brian Wilson will replace Wolfe at Talladega. Published: May 2, 2017, 9:57 a.m. Updated: May 2, 2017, 11:12 p.m.